Washington’s wine pioneer planted grapes on Snipes Mountain in the Yakima Valley 100 years ago. A CENTURY AGO, a Canadian expat living in the Yakima Valley had a vision for what would become the heart of Washington wine country. His name was William Bridgman and, 100 years ago, he was inspired to plant European wine grapes on a hill near Sunnyside, where he was the two-time mayor. Today, some of those gnarly old vines remain and are under the care of the Newhouse family, which bought Upland Vineyard from the Bridgman family in the late 1960s. Those original vines include a block of Thompson seedless (actually considered a wine variety in California, although it’s not used for such in Washington), muscat of Alexandria and black Hamburg (also known as black muscat). Of these, the Thompsons are the most impressive, with some trunks so substantial, you might have trouble wrapping your arms around them. Elsewhere in Upland Vineyard are blocks of vines dating back multiple decades. In fact, the first chardonnay in Washington was planted here. All three of these wines come from grapes grown at Upland Vineyard. Yakima Valley Vintners 2015 Summer Break pinot noir, Yakima Valley, $16: Crafted by the students and faculty of Yakima Valley Community College in Grandview. Aromas of strawberries and vanilla cream, followed by flavors of cocoa powder, raspberries and a hint of black truffles. Smasne Cellars 2012 Upland Vineyard old vine cabernet sauvignon, Snipes Mountain, $50: Using grapes planted in 1972, this gorgeous red reveals alluring, inviting aromas of plum, blackberry and dark chocolate, followed by flavors of ripe, dark flavors of boysenberry, vanilla and chocolate raspberry cake. A stunning effort. Smasne Cellars 2012 Upland Vineyard late harvest muscat, Snipes Mountain, $32: The only Washington wine ever made from century-old vines, this is a treasure. Aromas of rosewater, orange oil and a field of wildflowers lead to sweet, luscious flavors of ripe pear and peaches. 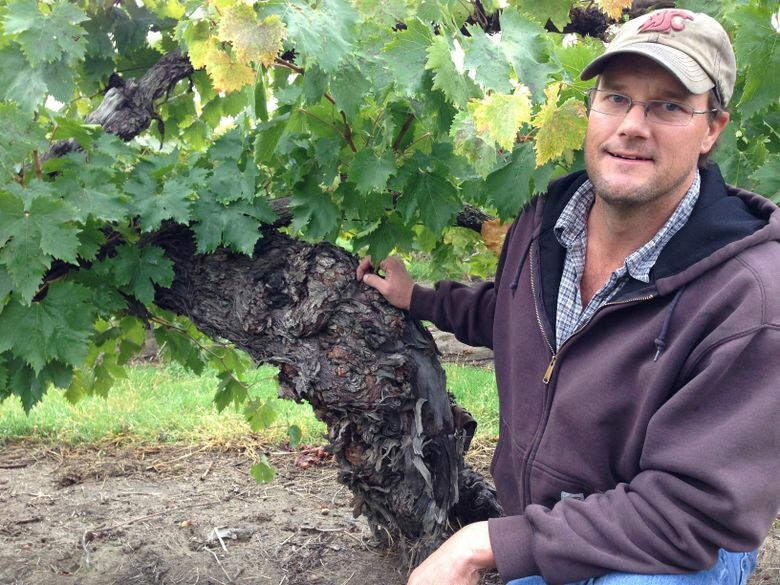 Bridgman, realizing that Eastern Washington’s climate could support European wine grapes, put his money where his mouth was and planted his first vineyard in 1914, followed by this remaining vineyard on Snipes Mountain three years later. But his timing was not great, as the shadow of Prohibition soon spread across America. Not long after Repeal in late 1933, he launched the second part of his plan by starting Upland Winery. The old winery buildings and Bridgman’s concrete fermentation tanks still are standing next to this historic block of vines. But Bridgman’s dream might never have become true, and we might not have ever known his story, if it weren’t for “The Wine Project,” a landmark history book written in 1997 by Ron Irvine of Vashon Winery. Bridgman died in 1968 at the age of 90, before his vision of great Washington table wines made from European grape varieties could come to fruition. But there is a dotted line between his aspirations and today’s sophisticated wine industry. Within a couple of years of his passing, Chateau Ste. Michelle and Associated Vintners (now Columbia Winery) began to popularize the very kind of wines that Bridgman dreamed of. Bridgman’s legacy remains in these precious old vines. Andy Perdue is a wine author, journalist and international judge. Learn more about wine at greatnorthwestwine.com. Reach him at andy@greatnorthwestwine.com.